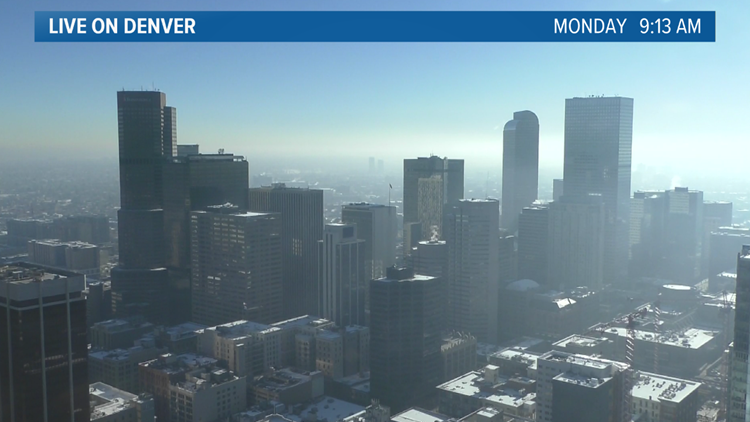 Hazy skies plagued the Front Range this weekend, but cleaner air is on the way. Driving through the Front Range over the weekend and even Monday morning the skies were incredibly hazy. From the Lookout Mountain camera, you could see the layer of pollution had moved east from over the weekend, leaving the foothills with clear conditions but the city stuck in the smog. 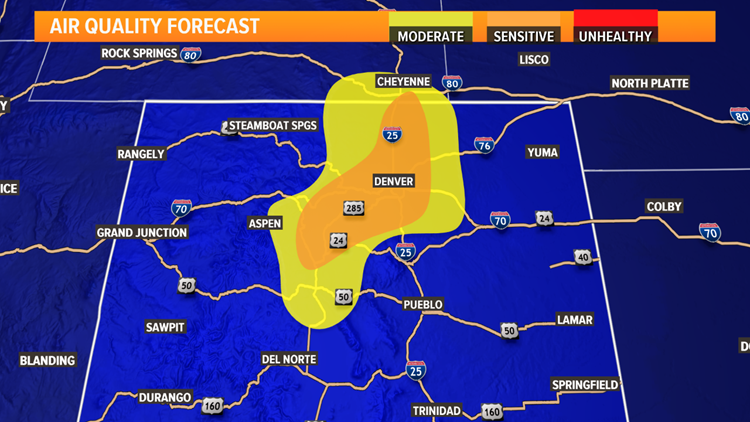 Air quality is forecast as Unhealthy for Sensitive Groups through Monday for the Interstate 25 corridor, after an extended period of light wind and limited atmospheric mixing. 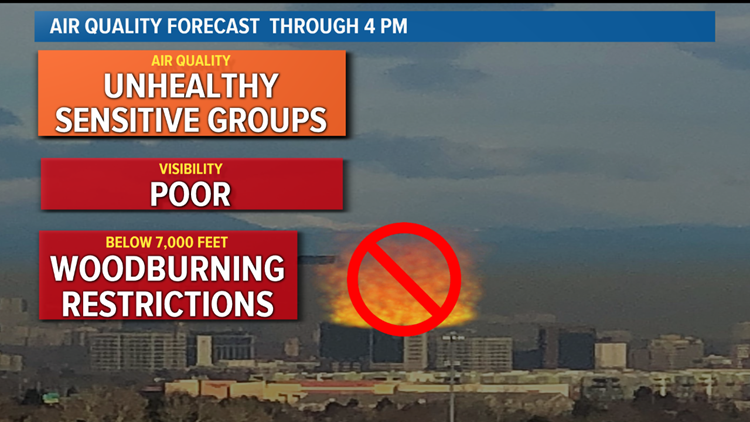 Who is considered a “sensitive group?” Anyone with heart or lung disease, older adults and children may feel the effects of the pollution Monday and should take it easy outside. 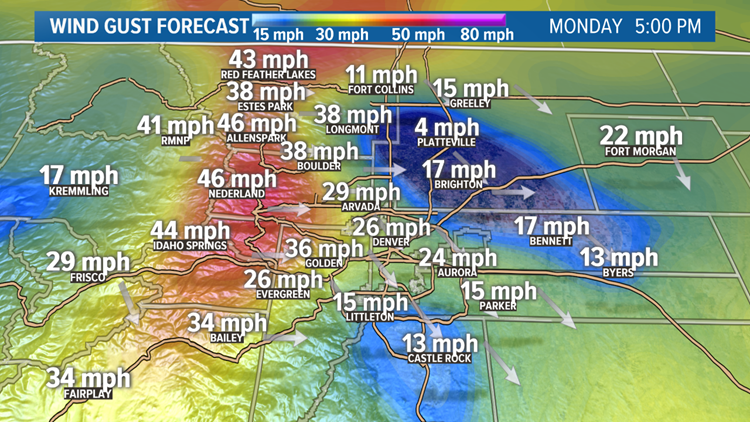 Look for winds to pick up by the early afternoon, with gusts from the west and northwest at 20 - 30 mph. This will help to mix up and push the polluted air east, leading to better air quality and clearer skies. Expect clearer skies and better air quality by Monday afternoon. For more information, visit this link.